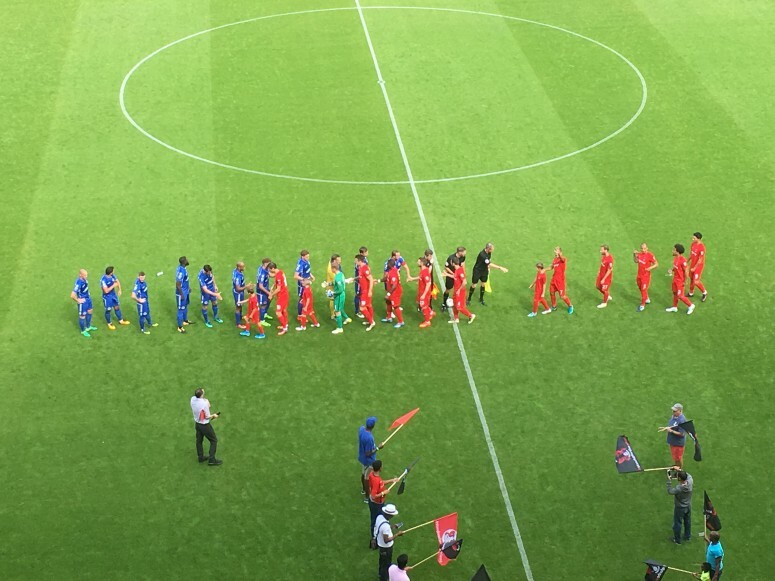 Leyton Orient grabbed a last gasp equaliser to deny Eastleigh the victory with a 1-1 draw at The Matchroom Stadium. The O’s missed the opportunity to take the advantage, as David Mooney missed from the spot. Eastleigh took their chance from the spot, as Ayo Obileye tucked his spot kick in to lead at the break. Orient got the equaliser late into injury-time through Craig Clay to strike and send the O’s fans into jubilation. Steve Davis made one change to the eleven that won 2-0 away at Woking last weekend, as Craig Clay starts ahead of club Captain Charlie Lee who sustained a knee injury in training. Orient had the first half chance of the game, as Alex Lawless had a shot from range but pulled his attempt wide. The O’s again applied the early pressure, as Macauley Bonne slid a ball into Mooney whose shot from a tight angle was well-stopped by Graham Stack. After a poor clearance from Charlie Grainger, James Constable had a shot from range and his bending effort from 30 yards just went wide with Grainger out of position. Just after the half hour mark, James Dayton wriggled through the defence and was hacked down inside the box by the Eastleigh defender which gave the referee no option but to point to the spot. Mooney stepped up for the O’s, sent Stack the wrong way but put his shot wide of the goal. The tables then turned, as Eastleigh threatened from a set piece through Obileye went up for the loose ball inside the box but put his header wide from inside the six-yard box. Lawless whipped in a quick ball back into the box from the breakdown for Mooney to attack but he could not guide the ball goalwards. The visitors were then given an opening in added time of the first half, as Lawless brought down Mark Yeates inside the area. Obileye then outfoxed Grainger, waited for him to commit and slotted his strike straight down the middle. In the second half, the visitors started the brighter as Yeates free-kick was met by Obileye which came back off the post and was finally cleared by Orient. Yeates fired a shot on goal for Eastleigh, which stung the hands of Grainger but the O’s managed to scramble the ball clear. Both Orient substitutes linked up well, as Josh Koroma teed-up Romauld Boco but fired his shot over the bar. Orient put the ball in the back of the net in injury time, as Jake Caprice’s high cross was cut back by Boco and tucked in but for the linesman to give offside. The O’s then grabbed their long-awaited equaliser with seconds of the game, as the Eastleigh defence cleared a Boco header the ball off the line which fell to Clay to strike and crept over the line to share the points. This entry was posted in Football, Sport and tagged Eastleigh, England, Football, Leyton Orient, National League. Leyton Orient made it back-to-back home victories after a 2-0 win against Maidstone United, at The Matchroom Stadium. A David Mooney header grabbed the O’s lead early in the second half and his second for the season. Orient then secured the points in injury-time through substitute Romauld Boco for his first of the season, as Orient move up to fourth. Steve Davis named an unchanged lineup after their 3-1 home victory midweek over Solihull Moors. Whereas the visitors made two changes one forced as Stuart Lewis serves his three match ban for Tuesdays red card and Alex Finney are replaced by Jack Paxman and Alex Wynter. Orient had a lively start and threatened just four minutes in, as Joe Widdowson was played in at the by-line by Jobi McAnuff, Widdowson’s low ball across goal could not be steered goalwards by Macauley Bonne. Delano Sam-Yorke had the ball in the back of the net for Maidstone, as the ball was hung up to the far post for him to guide in but he impeded O’s keeper Charlie Grainger in the process and Orient breathed a sign of relief. Bonne picked the pocket of the Maidstone defender and went to strike just outside the box but mistimed his shot and was collected by Captain Lee Worgan. Maidstone nearly took the lead, as Sam-Yorke’s clever ball over the Orient defence found Joe Pigott whose shot through on goal was smartly saved by Grainger and Tom Wraight fired the rebound over. Orient again looked threatening but just missing the final ball, as David Mooney slotted a ball for James Dayton to chase who could not quite get there ahead of Worgan. McAnuff worked an opportunity just before the break on the edge of the box and hit his shot which was well stopped down low to Worgan’s right. In the second half, Bonne burst Orient forward from his own half and went to strike but dragged his shot wide of the target. Maidstone had a half chance, through the right back who clipped the ball to the far post for Wraight who guided his header well off target. Orient took the lead on the hour mark, as Jake Caprice cut the ball back for Dayton who whipped the ball in for Mooney to guide into the bottom corner. The hosts’ almost doubled their lead, as Caprice’s low ball across the goalmouth was just beyond Bonne’s stretched leg and could not guide the ball into the net. Maidstone thought they had equalised, as Pigott’s snap shot was well-saved by Grainger and fired in on the follow-up by Sam-Yorke but the linesman raised his flag to Orient’s rescue. The O’s then broke, through Charlie Lee in injury time who slotted in substitute Boco to slide his shot passed Worgan to double their lead and secure the points. This entry was posted in Football, Sport, Uncategorized. Leyton Orient open their National League campaign with a disappointing 2-0 away defeat to Sutton United at Gander Green Lane. Jamie Collins gave Sutton the lead from the spot, before Dean Beckwith slid in a second from close range, to give the hosts a dream start to the 2017/18 season. 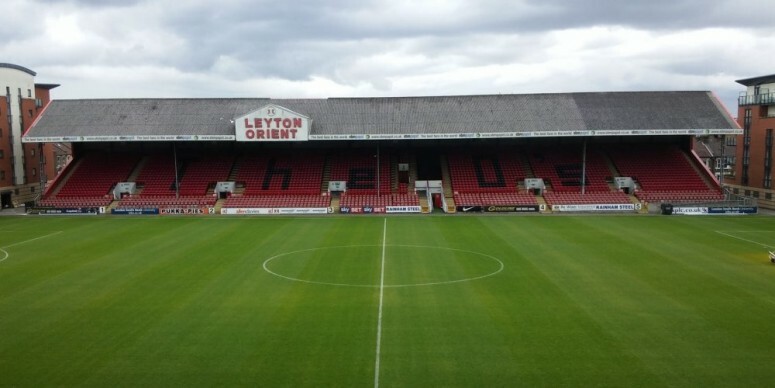 Under new ownership and new man at the helm for the O’s Steve Davis, started ten of Orient’s 14 summer signings including club returns for both Jobi McAnuff and David Mooney ahead of their new campaign. With a further two newbies on the bench. James Dayton had Orient’s first half chance in the opening ten minutes, as he was played through out wide and whipped a ball to the far post which had to be dealt with by Nicky Bailey for an O’s corner. The O’s found themselves behind early on, as Joe Widdowson could not deal with a long ball over the top and clumsily brought down Craig Dundas. Which gave the referee no option but to point to the spot. Collins then stepped up and tucked it away as he sent Charlie Grainger the wrong way. Orient reacted, as Captain Charlie Lee’s long throw was sent up high, Mooney challenged Jamie Butler but was penalised for a foul on the keeper as the ball nestled in the back of the net. Sutton double their lead just after the half hour mark, after a great early cross from Ross Lafayette for Beckwith to tuck underneath Grainger and extend their advantage. Just for the break the O’s had their first real opportunity, as McAnuff’s free-kick was met by George Elokobi but his header went over the bar. In the second half, a diagonal set piece fell to Lafayette to strike for Sutton but fired wide of the target. Orient pressed for a way back into the match, as substitute Romuald Boco delivered a ball in for centre back Josh Coulson but steered his header over the bar. Boco again involved as his corner was flicked on by Coulson but Widdowson at the far post could not guide it on target and was penalised for a foul on the Sutton defender. Sutton managed the game out to pick up the opening victory, as Orient move on to Tuesday for their first home game against Solihull Moors. This entry was posted in Football, Sport and tagged Leyton Orient, National League, Sutton United, The Orient Hour.